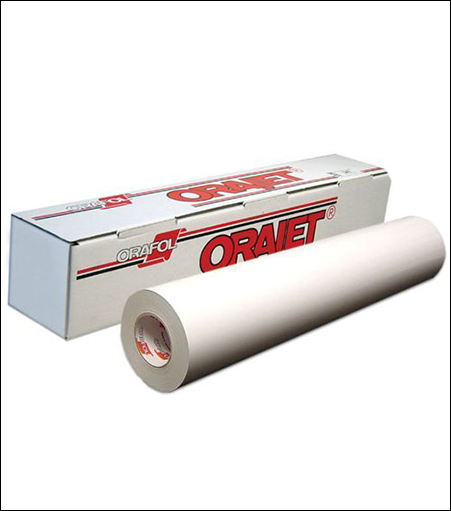 Oracal Orajet® 3268 is a 6 mil calendered PVC wall graphic with special low tack adhesive to allow graphic to be removed and reapplied many times. Not recommended for textured wall surfaces. Designed for use on smooth walls and glass. 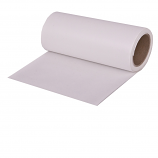 Make sure ink is fully cured (drying time of up to 24 hours) prior to installation and/or lamination. Uncured ink can cause edge curling. Always leave 1/4" unprinted material around the graphic to help prevent edge curling. Indoor durability up to 3 years.